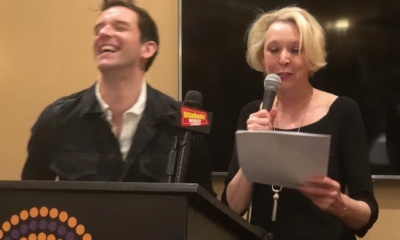 Artistic Directors Douglas Aibel and Sarah Stern announce that Maira Barriga (Miami City Ballet’s Corps De Ballet), Elizabeth Dugas (The Metropolitan Opera’s The Merry Widdow), Leah Hofmann (Something Rotten! ), Naomi Kakuk (THE PRODUCERS), Brittany Marcin Maschmeyer (Bullets Over Broadway), and Erin Moore (Shuffle Along) will complete the cast of the world premiere of The Beast In The Jungle, an original work fusing dance, drama and music by legendary composer and four-time Tony Award winner John Kander (Cabaret, Chicago), Tony-nominated playwright David Thompson (Steel Pier, Flora The Red Menice), and five-time Tony Award-winning director and choreographer Susan Stroman (The Producers, Contact). They join the the previously announced Teagle F. Bougere (The Crucible, A Raisin In The Sun), Irina Dvorovenko (“The Americans”), a former American Ballet Theatre principal dancer, and Tony Award nominees Peter Friedman (Ragtime, The Vineyard’s The Slug Bearers Of Kayrol Island…) and Tony Yazbeck (On The Town, Finding Neverland). 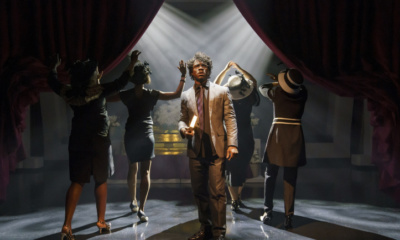 The award-winning design team includes scenic and costume design by Michael Curry (Frozen), lighting design by Ben Stanton (Fun Home), sound design by Peter Hylenski (Frozen), music supervision by David Loud (The Scottsboro Boys). The production stage manager is Johnny Milani. 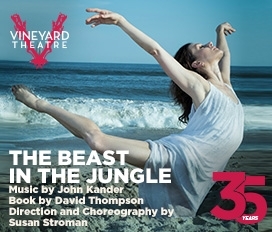 Adapted from Henry James’ classic 1903 novella, The Beast In The Jungle is the story of John Marcher, a man haunted by personal demons, whose great yet unfulfilled love affair with an unforgettable woman spans decades and continents.​ With a ​waltz-inspired​ ​instrumental score, and dazzling choreography that traverses the worlds of ballet and contemporary dance, this powerful and romantic tale of love and loss reunites the remarkable creative team behind The Vineyard’s acclaimed The Scottsboro Boys. 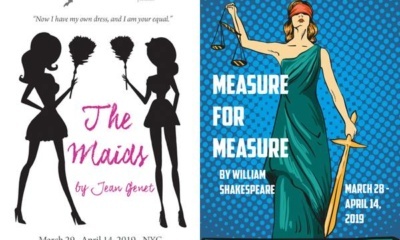 Vineyard Theatre is an Off-Broadway theatre company dedicated to developing and producing bold new plays and musicals by both emerging and established artists. 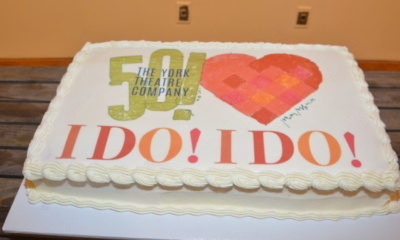 The theater is committed to creating an artistic home for daring and diverse artists and to nurturing their unique voices. For over 35 years the company has sought to produce work that challenges all of us to see ourselves and our world in new ways, and that pushes the boundaries of what theatre can be and do. The revival of the Pulitzer Prize-winning play Three Tall Women, had its world premiere at The Vineyard in 1994. The show debuts on Broadway this month at the Golden Theatre with Glenda Jackson, Laurie Metcalf and Alison Pill.